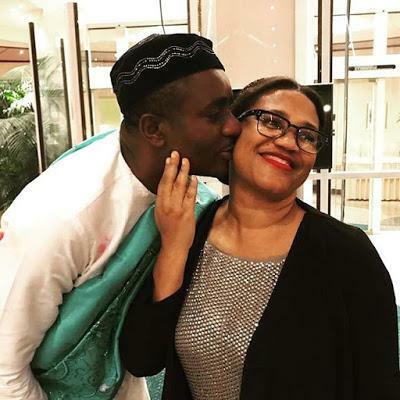 The Nollywood thespian who at the mment is in Frankfurt, Germany for a film festival, took to his Instagram to share pictures of himself sharing a kiss with Nadia's mother and he ended his post with "...I love this woman." Hhe wrote: "Hmmm ... l too cherish this kiss my people... coming from our delectable Nadias mum. I love this woman" he captioned one of the photos. Recall Emeka Ike's mariage had been dissolved by the court. Though the Anambra state veteran actor has always stated he stll loved his Ex-wife.